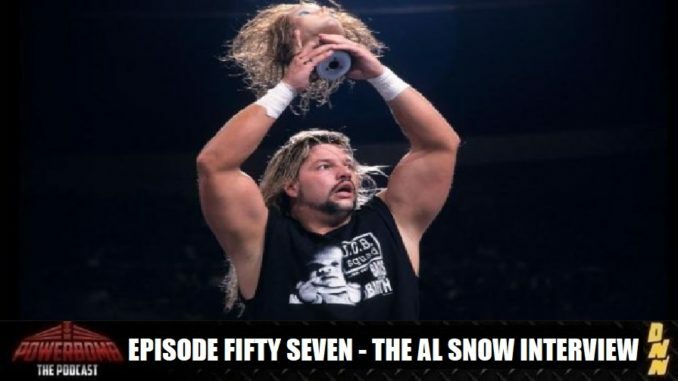 In this episode….Bryan sits down with the one and only AL SNOW! They discuss Al’s purchase of OVW and OVW’s future, AEW, what wrestling is missing, Collar & Elbow clothing, ribbing Val Venis, Al’s unused storylines (jealousy with Head, The Swarm, Etc), HeadCheese, and so much more! The fellas also take a look at Vince McMahon’s “beef” segment from RAW and, in honor of Al Snow, Steven and Bryan do an Inanimate Object (gimmick or manager) Elimination Chamber and it is a doozie!